Stewart Garden Clear Multi-Purpose Plant Saucer suitable for placement under 11-18.5cm pots, manufactured in high quality strong weathersafe plastic. Providing an excellent depth of 6cm so therefore suitable to retain a good quantity of water for the plant. Ideally suitable for indoor houseplant use for Orchids and many other plant varieties. 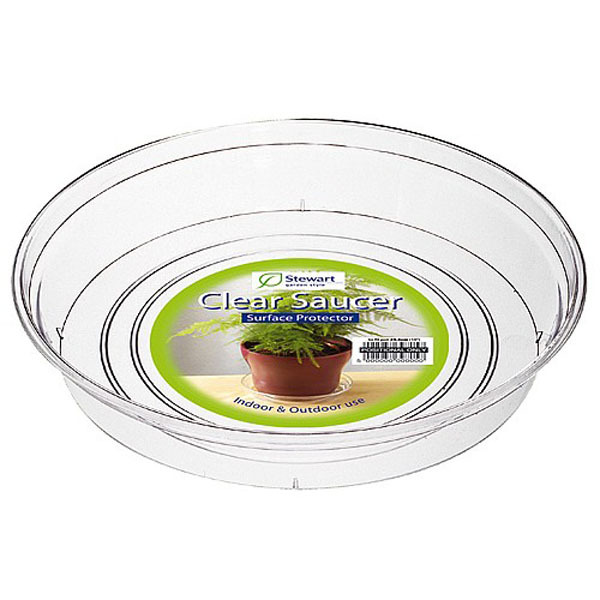 Clear saucers benefit from easy visibility of water levels, and as a surface protector for a range of houseplant pots.